The temperature was pushing 90 degrees as we climbed out of our air-conditioned car. The hot sand radiated heat as we dropped down to the sandy wash. Our destination was about 3/4 of a mile up the wash to a place known as Grapevine Canyon near Spirit Mountain. As we walked up the wash, I wondered what it must've been like some 1500 years ago when the Indians were the sole inhabitants of the area. 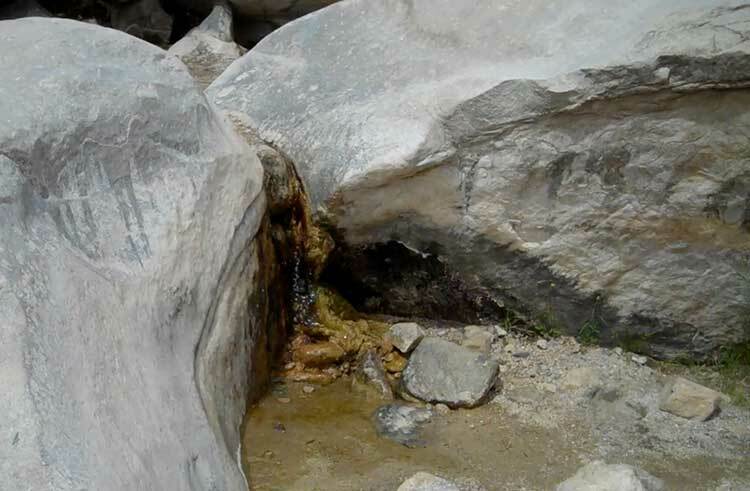 A slow stream of water trickled from the rocks at the base of Grapevine Canyon, ran a few feet and disappeared into the sand. Many of the Indians gathered here for water and meetings. The signs on the rocks tell many stories of the past and give instructions on the local conditions. The petroglyphs go 40 to 50 feet below the current sand level in the wash. 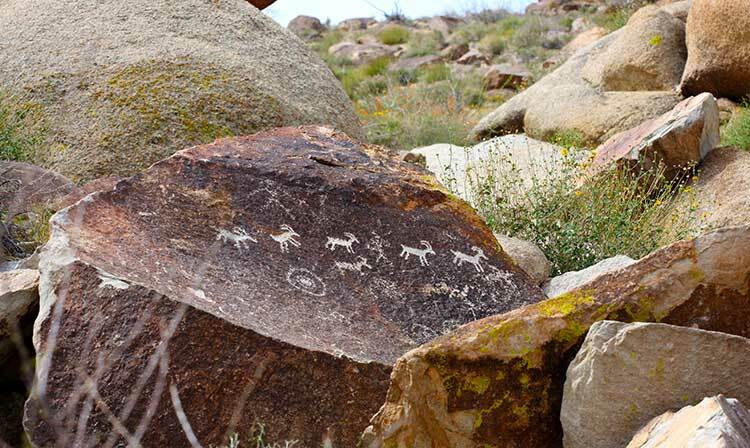 These were some of the first petroglyphs and have been buried for hundreds of years. 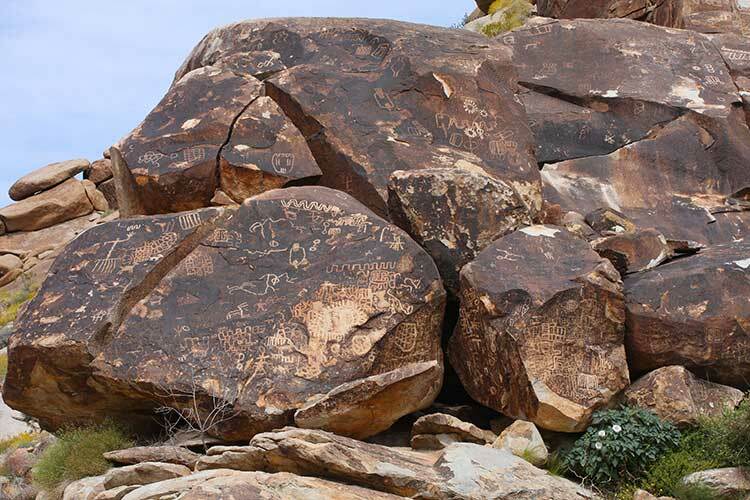 Most of the petroglyphs are not translated, and only a few of the more common ones have been understood. There are many books on the interpretation of rock art writing. 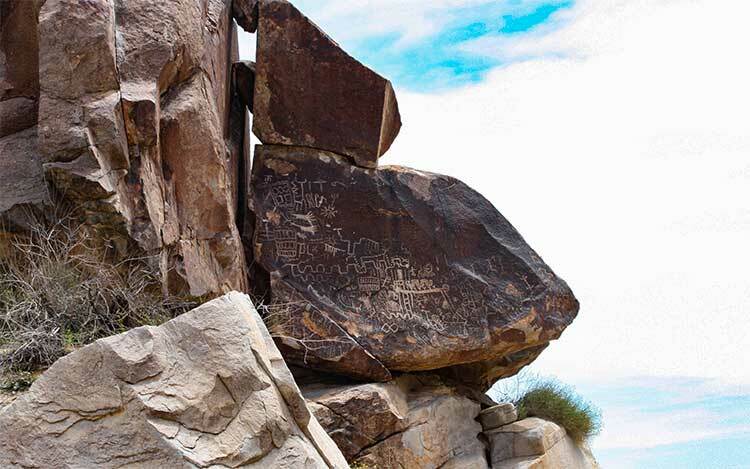 Hopefully, someday we may be able to learn more about the Indians of the past and their rock art. 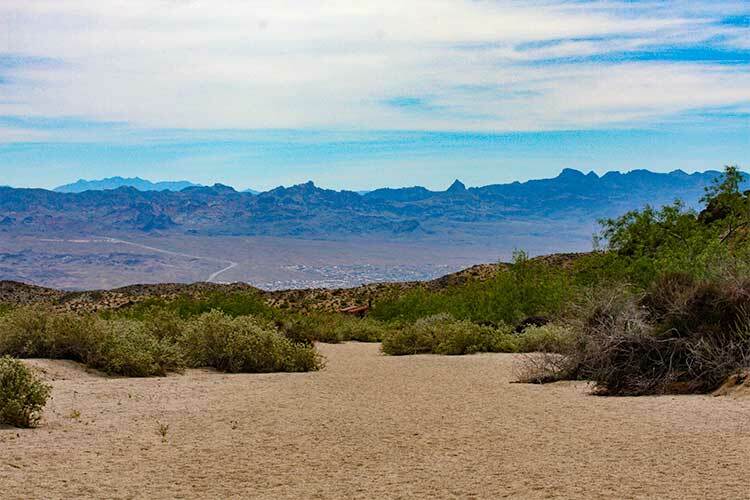 To get to to Grapevine Canyon use the starting point of Davis Dam or Laughlin, Nevada; drive up Nevada Highway 163 about 6 miles to the Christmas Tree Pass turnoff. Follow this unpaved road for about 3 miles to where you'll find a dirt road to the left. Drive to the end of the road (about a 1/4 mile) and park. Follow the trail sign to the canyon. For those of you who like to hike, two and half miles further up Christmas Tree Pass road is a turnoff to the right. Park your car here to begin the hike up Spirit Mountain.